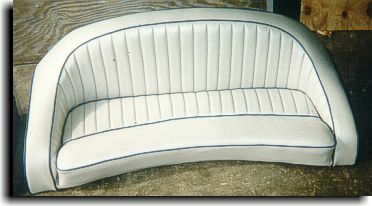 Front seats upholstered in this custom 45' Skater tunnel boat. 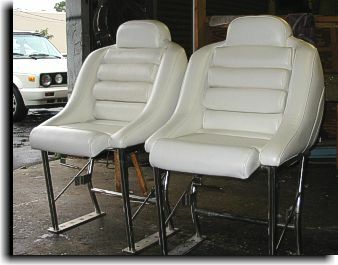 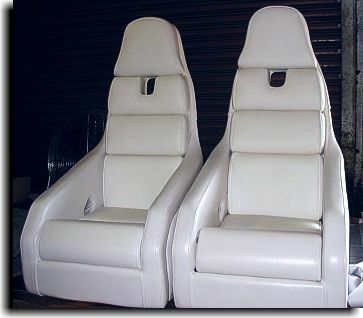 Generic drivers and passengers seat that went into a Fountain V-Bottom. 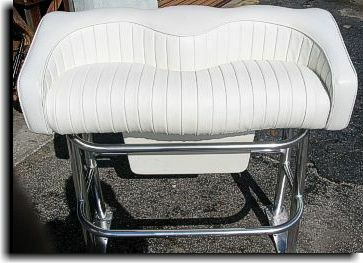 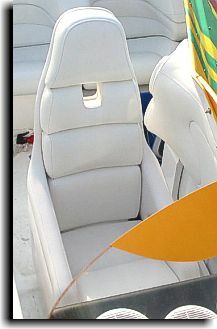 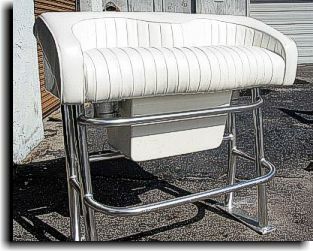 Drivers lean back / sitting seat for a center console fishing boat.